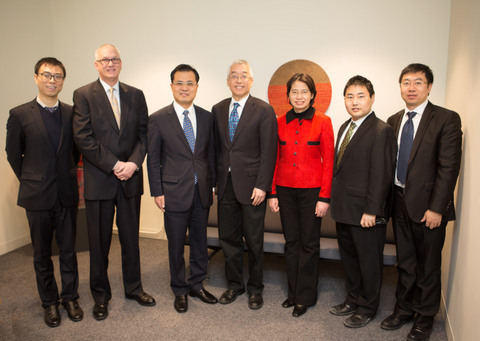 On January 16, Mr. Zhao Weiping, Chinese Consul General to Chicago, visited Columbia College Chicago. 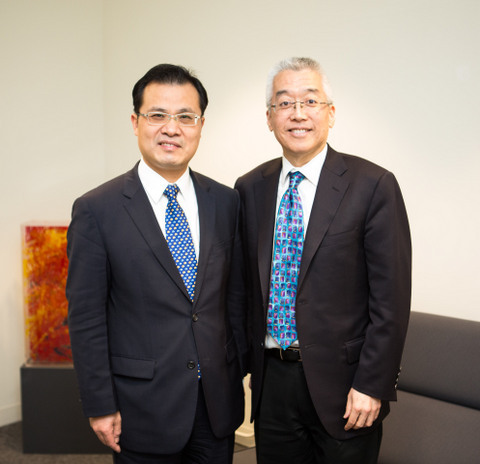 He met with President and CEO Kwang-Wu Kim, D.M.A. and Provost Stanley T. Wearden, Ph.D. and exchanged views with them on promoting the College's exchanges and cooperation with China. The visit also featured tours to the Work Shop at the Department of Arts and Design, the Museum of Contemporary Photography and Media Production Center of the college. Consul General Zhao was accompanied by Peter Zhang, Director for the China Initiative of Columbia College Chicago and Counselor Qin Juhua, Head of Education Office of the Chinese Consulate General in Chicago. Founded in 1890, Columbia College Chicago is one of the largest arts and media colleges in the US with nearly 12,000 undergraduate and graduate students, including about 100 from China.